When examining duelling during the 19th century, a clear division must be made between sabres and pistols. When it came to swordplay, combatants could agree to first blood, or to the death. Pistols, on the other hand, immediately indicated a desire to kill your opponent, as any wound was more likely to become septic and the infection fatal. 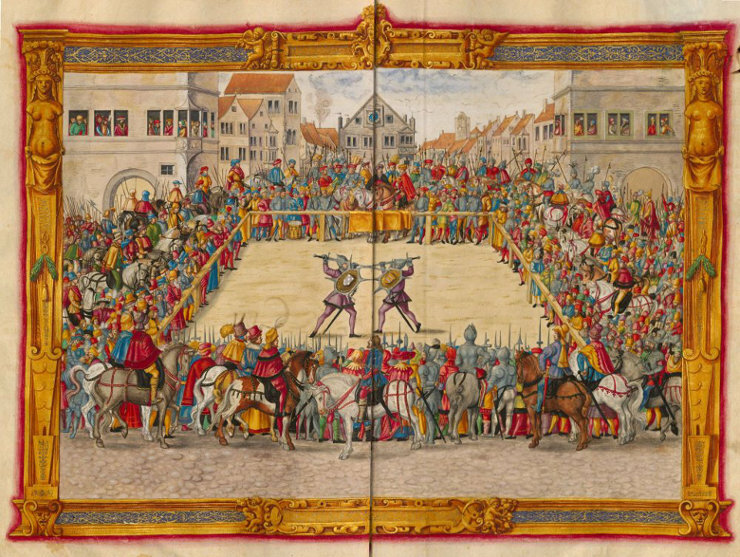 Trial by combat, which took place in Augsburg between Wilhelm Marschalk von Dornsberg and Theodor Haschenacker, 1409, produced by Jörg Breu d. Jüngere and Paulus Hector Mair in 1544. Combat between gentlemen, following a formal code of rules, harkens back to the judicial duel (trial by battle, trail by wager) of mediaeval times. It developed out of Germanic traditions, to settle disagreements where there was an accusation, but no witnesses or a confession. The winner of the fight was proclaimed to be in the right, whether it was true or not. A great duellist could literally get away with murder, unless witnesses (who were brave enough to come forward) were massed against him. The church frowned on judicial duels and, whenever possible, protected witnesses and encouraged prosecution. By the reign of Charles I this justice by combat was no longer recognized in England, the last recorded judicial duel having been sanctioned by Elizabeth I. However, duels between gentlemen, over some insult or offence to a man’s honour, continued in earnest. Thus was born the remote duelling ground; a secluded glade or an island proving very popular. 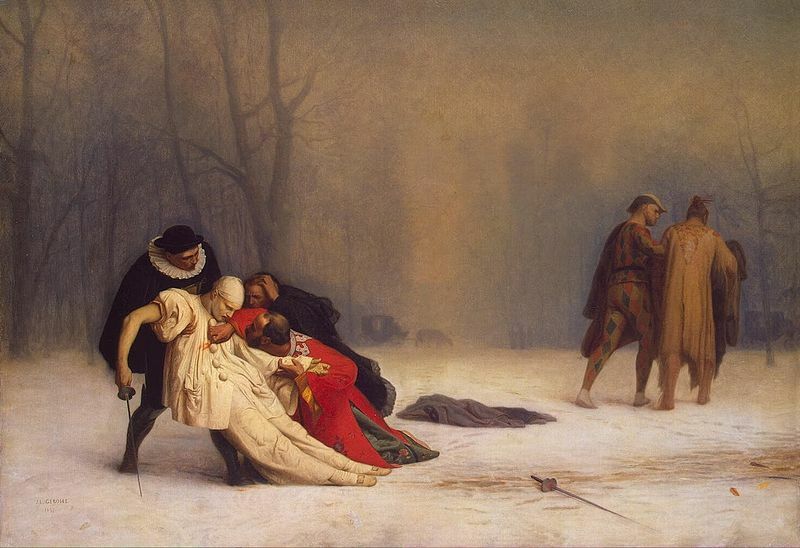 Duel After a Masquerade Ball, by Jean-Léon Gérôme, 1859. 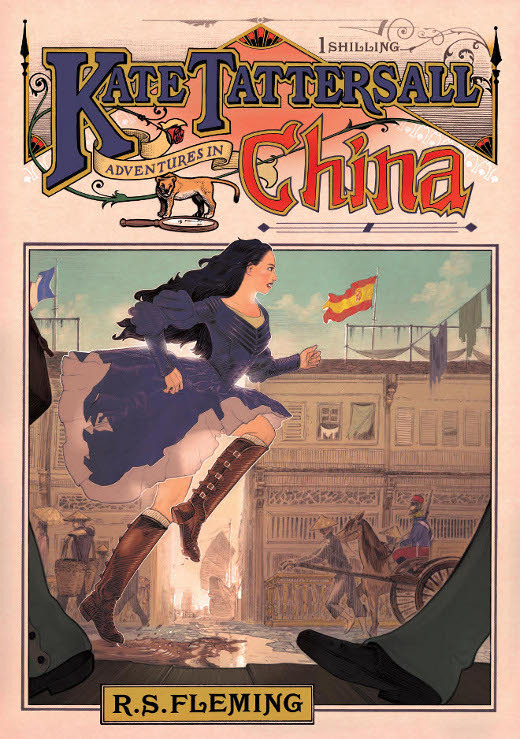 By the early Victorian era, duelling had already been illegal throughout the British Empire, and most of Europe, for about two centuries. Despite that, in most societies it was accepted, particularly between military officers, and the participants of a fair duel were not usually prosecuted. It should be made clear that these “matters of honour” applied only for men of the nobility and gentry, who were somewhat above the law anyway. Whatever the case, a duel generally followed an offence, real or imagined. A gentleman would demand satisfaction and signal this with an insulting gesture, such as throwing a glove before his offender, or proclaiming loudly within earshot some flaw in a man’s character or behaviour. The subject of this was obliged to accept the challenge, or admit wrong and apologise, or be dishonoured. Each party would then name a representative, someone they trusted to act as their second, who would work out the details. The seconds would negotiate a duelling ground, the weapons to be used, and a timing, perhaps ensuring a surgeon was present. Fairness between the combatants was paramount, so the weapons had to be considered equal by both parties. This usually meant the same model of pistol was used by the men, but with sabres there could be variations, as a small man may have been permitted a longer lighter blade, the large man something heavier. Whatever, the seconds had to agree the fight was fair, and often used details like this to persuade both sides that a duel was folly, to shake hands, and part as friends. Sometimes reason was completely lost, the seconds duelling as well, and all four men dead on the field of honour. A detail of The Trial of Nerves by D.T. Egerton, 1824, while pre-Victorian, serves as a good example of gentlemen with pistols, seconds standing by, and other witnesses taking in the event. 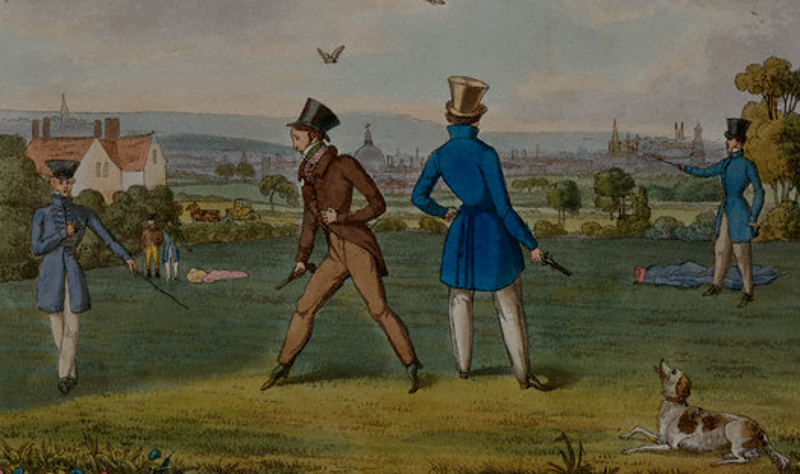 There are records for about one thousand duels fought in Great Britain between 1785 and 1845. Of these two thousand combatants about one hundred and fifty died. However, there were probably at least this many fights done in secret, and no way of knowing how many proved fatal. The last recorded deadly duel fought in England took place at Englefield Green on the 19th of October, 1852, between two Frenchmen over some remark about a former girl friend, but was more likely politically motivated. Emmanuel Barthelemey shot Frederic Cournet, who was carried across the cricket pitch to the Barley Mow pub where he died. Barthelemey and his two seconds were arrested and charged with manslaughter, convicted, and served seven months. Over the next couple weeks I’ll post articles about single combat in regards to sabres, pistols, how they were treated differently in matters of honour, and the duelling clubs that sprung up and still exist today. I find this so interesting. Great pix. This has made my day. I wish all postings were this good. Tell us more about duelling. These posts about duelling are outstanding. Thanks! I like your posts! Thanx!